Bin 2 was first released in 1960, yet was discontinued in Australia in the 1970s at the height of the white wine boom. The original Bin 2 was an &lsquo;Australian Burgundy&rsquo; style (despite its Rh&ocirc;ne varieties) &ndash; typically a soft, medium-bodied wine based on Shiraz. 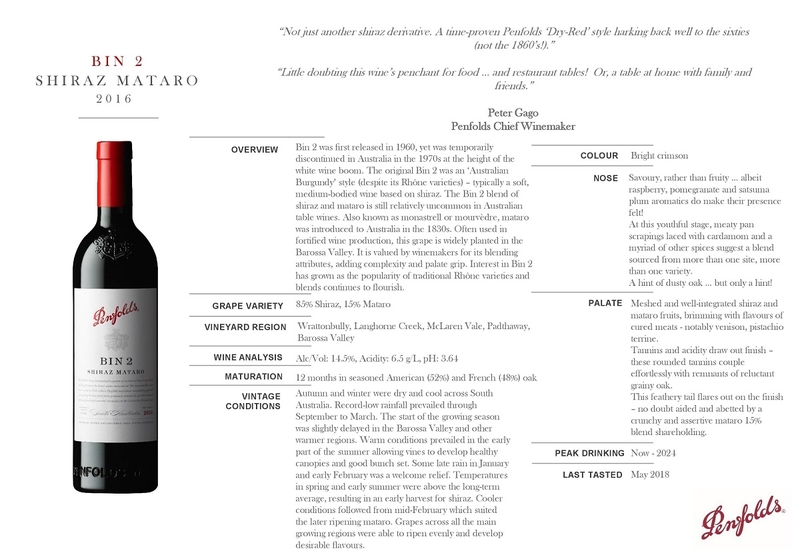 The Bin 2 blend of Shiraz and Mataro is still relatively uncommon in Australian table wines. Also known as Monastrell or Mourv&egrave;dre, Mataro was introduced to Australia in the 1830s. Sometimes used in fortified wine production, this grape is widely planted in the Barossa Valley. It is greatly valued by winemakers for its blending attributes, adding complexity and palate grip. Interest in Bin 2 has grown as the popularity of traditional Rh&ocirc;ne varieties and blends continues to flourish.